Mamas, tomorrow is a PE Day. That makes for a long weekend of activity planning with the kids. But don’t worry! We’ve put together a list of activities that can help keep the kids busy. Here are a few of our favourite things to do with the kids. The Downtown Windsor Farmers Market always has great activities and crafts for the little ones. This week they will have local musician Theodore Hogan to add some great vibes.The market takes place Saturday from 8am-1pm on Pelissier in downtown Windsor. We love The Art Lab. Every Sunday from 10am-1pm they have an open session where you can take the kids and let them explore their creative side. They have a splatter paint room where you can basically just throw paint on the walls. It’s awesome. Owner, Samantha, always comes up with new activities each week so it never gets dull and keeps everyone engaged. One of my favourite festivals. The Festival of Hawks is a great event to get out into the county, meander through Holiday Beach Conservation Area and learn about the bird migration passing through the region. There’s always exhibits and vendors on hand and this year we even crossed off a bucket list item: we got to hold a hawk! Open Streets Windsor is 8km pf car-free space connecting communities through healthy recreation, creative expression, alternative forms of transportation and opportunities for local businesses…and it’s awesome. There is a ton activities happening along the route, so make sure to check out the list of activities. You can check out a complete list of sites and their descriptions on the Doors Open Windsor site. 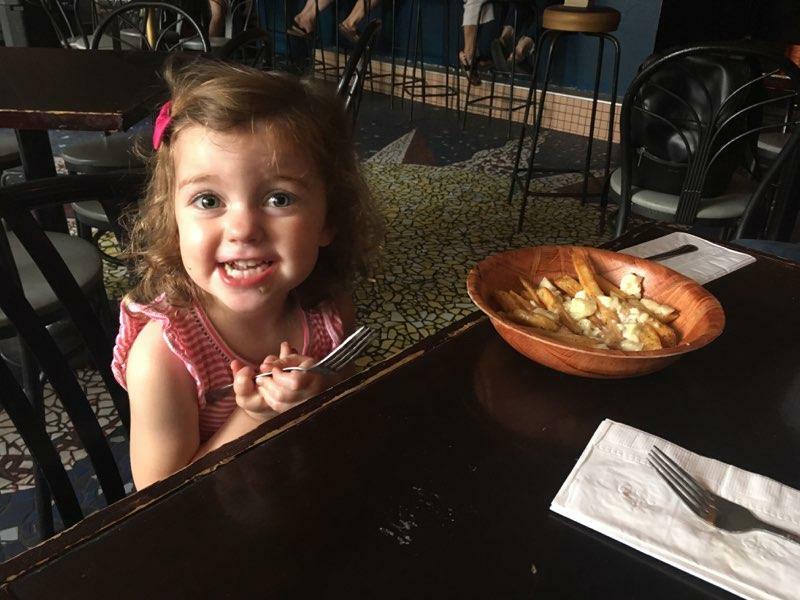 Folks of all ages love The Dirty Poutine Experience. If you’ve got a foodie in your bunch, then take them out on a food tour! The Dirty Poutine Experience takes place Saturday and will complete your child’s daily requirement of fries and cheese curds. Street food, shopping cart races, live grafitti, skateboard competition, live music, low rider car show. This is the festival you didn’t know about but always wanted to go to. Dropped on Drouillard is in it’s second year takes place Saturday, September 22 from 11am-11pm on 1000 block of Drouillard.